As a founding partner in Rancho Cucamonga-based Young Homes, John R. Young has been an active participant in this highly successful Southern California home building company for nearly 20 years. Together with his partners Reggie King and Jack Young, and the entire Young Homes management team, he has been responsible for the development of nearly 3,500 homes in communities throughout the Inland Empire's San Bernardino and Riverside counties. This well-respected and highly successful firm is currently ranked among the Inland Empire's "Top 5" home builders. At the beginning, the Young Homes vision was to provide entry-level homes that would make the dream of home ownership attainable for young families and other first-time buyers. Although the vision has expanded over the years to include higher-end properties, the company's heart remains with the dreams of first-time buyers. Young's experience in the real estate and home building industries extends over close to 30 years. 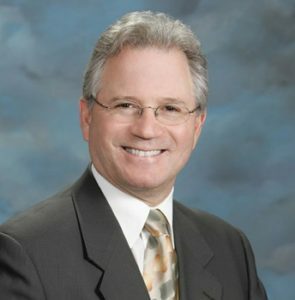 His early years were spent as a successful sales representative and real estate broker focusing on single-family homes. Finding that he had a knack for the business, he purchased and proceeded to operate a residential mortgage company, specializing in FHA and VA loans, as well as conventional loans. The expertise he built in sales and finance has proven to be a major asset to the steady growth of family-owned Young Homes. John Young has earned his acclaim as a trusted leader in the new home building industry. He is a past president of the Building Industry Association of Southern California and previously served as president of BIA/Baldy View Chapter and president of HomeAid Inland Empire, a non-profit charitable organization founded by the BIA/SC and dedicated to building and renovating housing for the transitionally homeless. Young is the immediate past Chairman of the California Building Industry Association and continues to be of service to their needs; and is active in the National Association of Home Builders by serving on the Board of Directors. He is also a Board Member of the Chino Hills Community Foundation, spearheading a variety of community improvements. Under the direction of John Young, Young Homes has grown steadily over the years, receiving well-deserved acclaim for its valuable contributions to the home building industry and the greater community. The company has been honored as Builder of the Year by the BIA/Baldy View Chapter, and is the recipient of the 2005 BIA/SC Community Involvement Award as well as Builder of the Year in 2009.